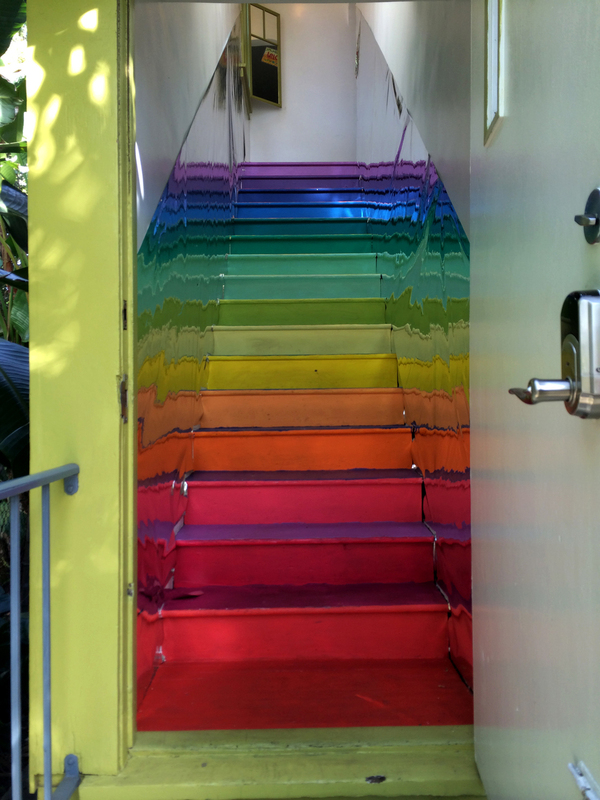 When you open the door to a seemingly ordinary house, splayed out before you is a set of rainbow stairs. The walls are lined with Mylar foil, making the rainbow pattern painted on the stairs reflect back and forth like a hall of mirrors. It feels like you’re falling into a psychedelic rainbow rabbit hole. The Kids are grounded. They are never allowed to leave the house unaccompanied. And so they anxiously wait by the door, peering out at a world beyond the Funhouse House. By the way, our cat is called “The Kids.” The name requires its own special grammar. “They” must always be referred to in the plural. 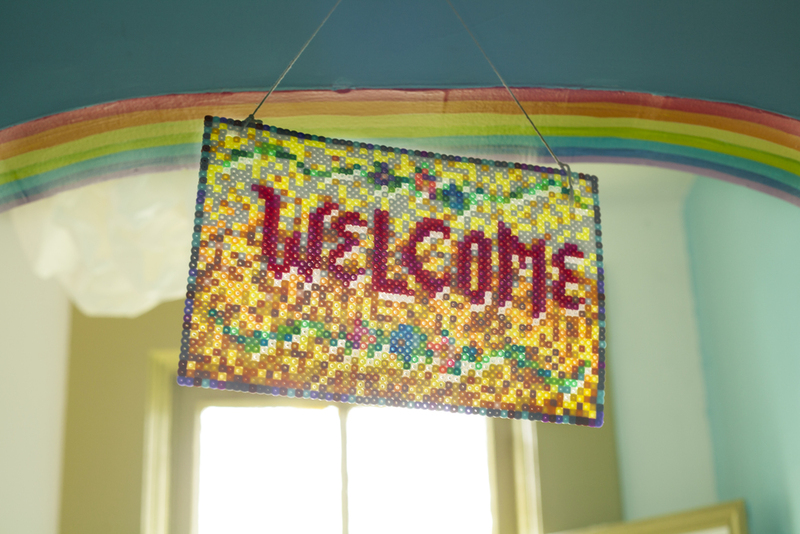 Welcomes, windows, mirrors, mylars, rainbows.